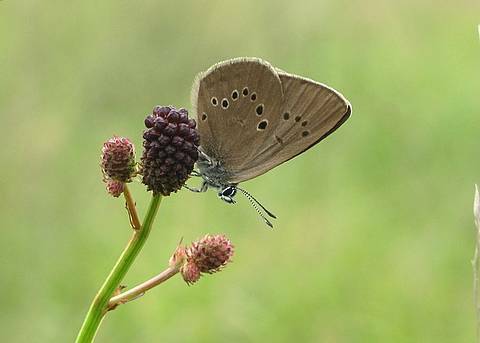 The Dusky Large Blue is a rare butterfly which is found only in specialised wetland habitat containing great burnet (Sanguisorba officinalis). 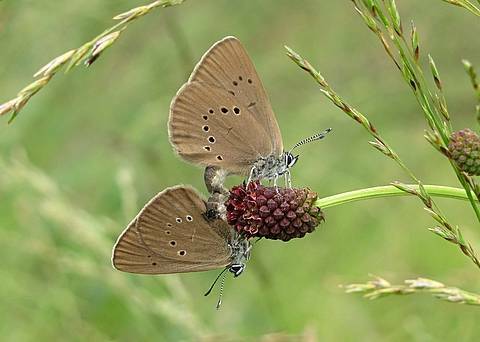 Indeed the butterflies are so tied to this plant that whenever they come to rest it is usually to sit atop one of the characteristic dark red flower heads. 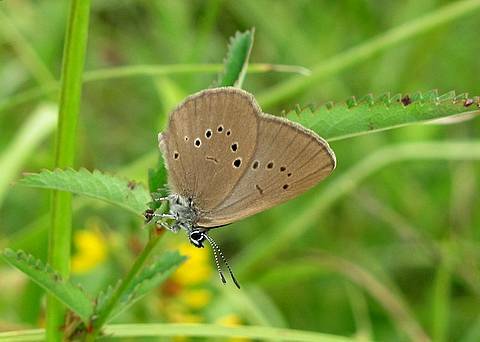 Hence photographs of the species are almost exclusively in this posture.